Ten skeins of Silk Garden that I’d been eyeing for awhile. I briefly thought about making the Sunrise Circle Jacket out of it, but that jacket really needs more structure than this yarn would give. Plus I could do with not making aNOTHER sweater at the moment. So it’s going to become the Lady Eleanor stole. Mmmmm, I’m looking forward to it. I also bought six skeins of the softest yarn ever – Handmaiden 4ply cashmere. Mmmmmmmm. Yum. Destined to become the best sweater ever. Mmmmmmmmmm- I can feel it all the way here! Just mentioning Little Knits makes me want to click the “Buy” button. 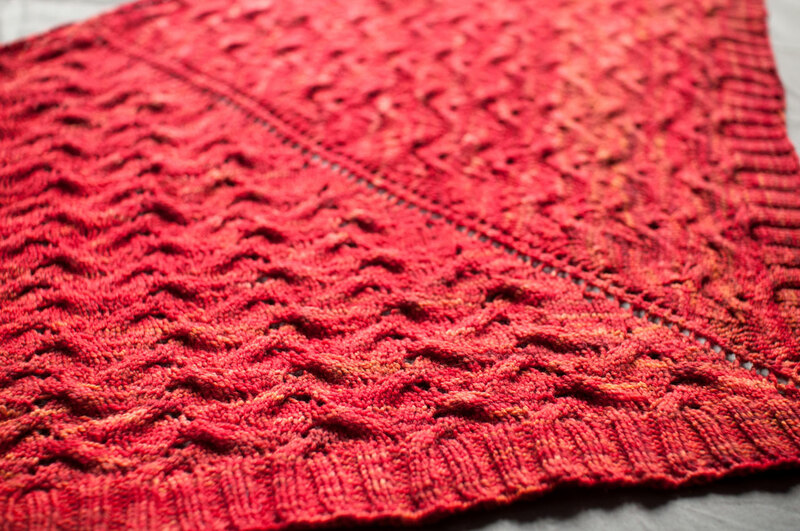 :) Beautiful Handmaiden cashmere. I can’t wait to see what you do with it. Oooh, anxious to see what becomes of the cashmere! What colorway are you using for Lady Eleanor? I’m new to the blog, and having been on an elimination diet for a year once myself, I had to write. Just wanted to let you know I had trouble reintroducing foods but eventually got referred to someone very skilled at something called Nabumdripad (sp?) Allergy Elimination Technique (NAET). You *really* have to be open to alternative medicine to try this one, but honestly it changed my life and now I can eat just about anything. If you are at all interested, and the reintroduction doesn’t work 100%, email me back and I’ll tell you what I know. In any event, I’m crossing my fingers for you. I hope you and your skin are 100% healthy soon. And I love the Vogue cabled sweater! Me too, am planning to make a Lady Eleanor stole out of 9 skeins of Silk Garden. I absolutely adore Silk Garden, so I look forward to this project. You where lucky to find Silk Garden on sale! Me three. I have 9 skeins of Slik Garden (on sale) awaiting to be turned into the Lady E! Can’t wait to see yours and you’ll likely to be faster than me. I made Lady E from silk garden, it’s perfect for knitting entralac’s. Even knitters think I used different wool for all the seperate rectangles. The staff at my LYS tried to keep it (my finished Lady E) when I was leavng the shop.